There are lots of different GRP roofers covering the Richmond area. If you’re interested in having a GRP roof installed on your Richmond property, it’s important to choose a GRP roofer who’s experienced and appropriately qualified. This is because installation is an extremely important factor in getting the most out of your GRP roof. how much experience do you have as a GRP roofer? 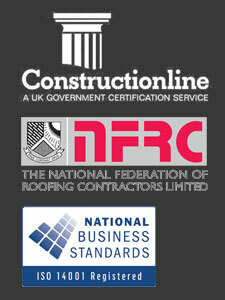 The more experienced a GRP roofer is, the more skilled they are likely to be. when will you install the GRP roof? Ideally, GRP roofs should be installed on a dry day. However, if your Richmond GRP roofer wants to install it while the weather is bad, make sure they’ll definitely use a temporary covering to protect your property.